Home » closed beta , development , legends , news , world of warships » World of Warships Legends - PS4 and XBox One - Entering Closed Beta Join Now! 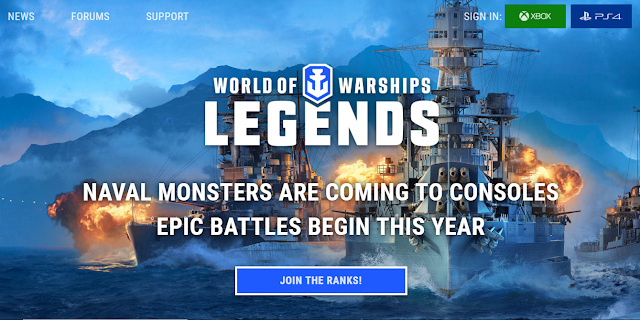 World of Warships Legends - PS4 and XBox One - Entering Closed Beta Join Now! World of Warships for the Consoles PS4 and Xbox One is about to start Closed Beta. We're happy to announce that World of Warships: Legends, the tactical combat action for consoles developed by Wargaming Saint-Petersburg, is entering the closed alpha stage! If you've left us your credentials we're going to start some communications with you very soon and you'll get a chance to be among the first to try out the game! Meanwhile, feel free to browse around the forum and meet your﻿ fellow gamepad commanders, but please follow the Rules. Also, feel free to check out official community Discord! Stay tuned for more legendary news and prepare to Turn the Tide!